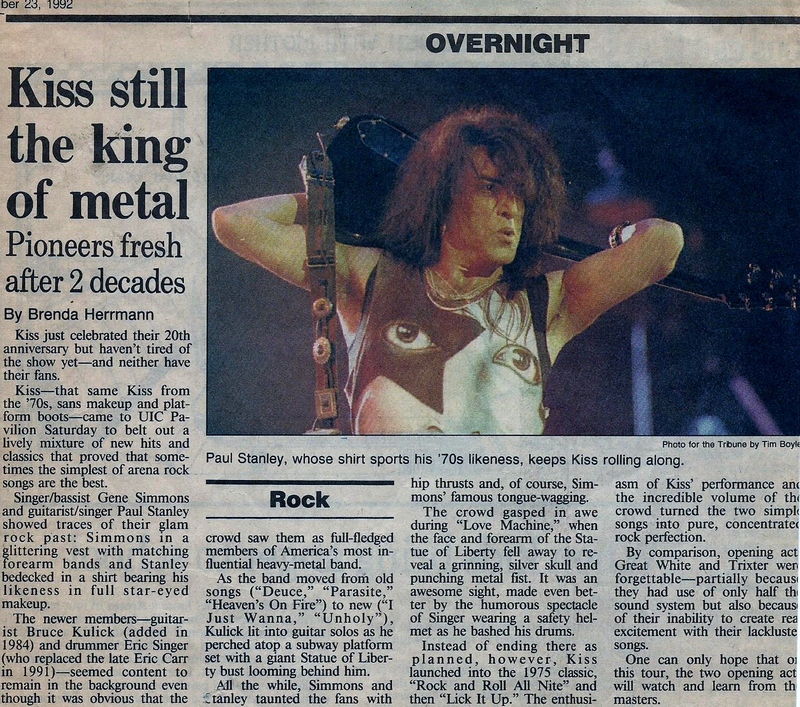 It was my first concert, KISS or otherwise — my Dad took us… It was cold as hell and February 15th, 1984 @ the UIC Pavillion, KISS’s Chicago home away from home in the 80’s it seemed. Man, I had never even smelt weed at the time and I think I must have gotten a contact high because, without telling anyone, end of show, during the encore break, I just jumped the wall to the main floor and wound up front row, in the fray with the Army! It was trippy, time slowed down a bit there ….at one point Vinnie Vincent mouthed “I love you” to me (or someone near me) and threw a pick our way and it fluttered just outta reach through a smoky haze thick with baptismal rock mayhem. I was hooked on rock & roll and the return of Kiss! The whole ride home I couldn’t shut up ….my friends, which include today a famous Historical writer and Comedian / Movie Star were less enamored with the experience. One had cotton stuck in his ears that my mom had to remove with tweezers when we got home. My Dad claimed his ears took three days to recover fully. 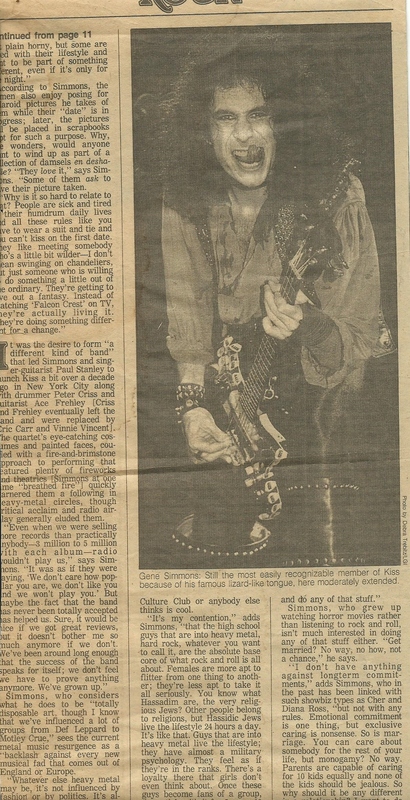 This was the article that I believe appeared in the Chicago Tribune the week of the show. We caught the Revenge Tour instead in Milwaukee for better / cheaper 10th row seats …the band sounded way better than the clips on KISSOLOGY, drums were way less tinny, great low-end warmth to the band I hadn’t heard on prior 80’s tours, plus they sounded seasoned, hungry and fresh and they were shaving less.